“Straight Outta Hyrule,” a new music mashup created by YouTuber I am Jemboy, combines N.W.A’s Hip-Hop/Rap hit “Straight Outta Compton” with Koji Kondo’s overworld theme from The Legend of Zelda NES. 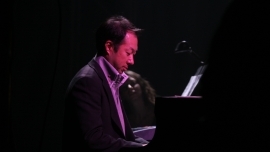 Koji Kondo has provided music for numerous Nintendo titles, but it seems the music of the “Legend of Zelda” has made an impression on him. In a recent interview with GoNintendo, Kondo expressed his interest in remaking and remixing various songs from the “Legend of Zelda” series. All of the remixes would be done in a jazz-style of music, and the remixes would be released as a compilation project. Koji Kondo, the man behind the theme for The Legend of Zelda, recently sat down with the people over at GoNintendo for an interview. The session was covered on one of the site’s Podcast episodes, but it seems they will be sharing small pieces of it throughout the week. Today’s moment of choice is of particular interest to the Zelda community.